Recruiting certainly has taken front stage and seems to be bringing in a lot of high quality talent. 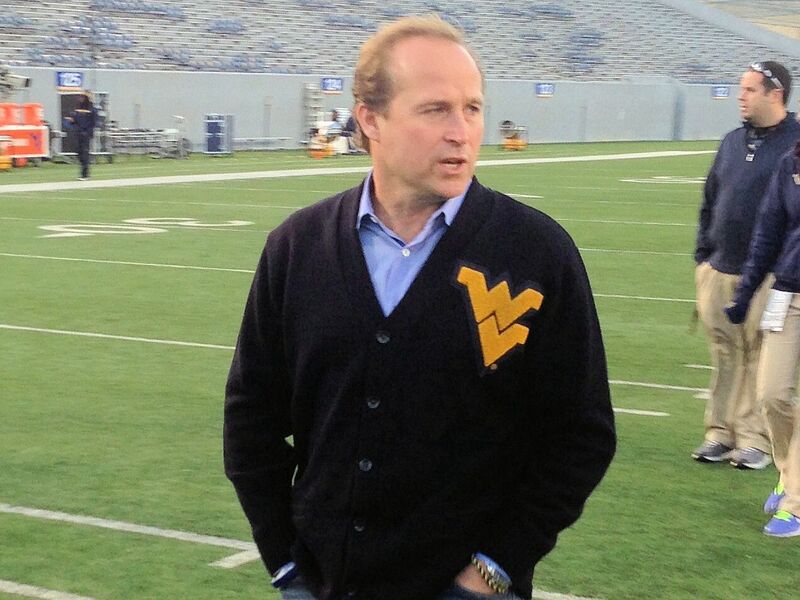 West Virginia University football coach Dana Holgorsen has announced the signing of four players to national letters of intent and athletic grant-in-aids for the spring 2013 semester. Earned starting quarterback job as a freshman at Riverside City College in Riverside, Calif., for coach Tom Craft … helped lead Riverside to a 10-2 record, the National Division Central Conference Championship and advance to an appearance in the California State Championship game … completed 219-of-325 passes (67.4 percent) for 3,151 yards and 33 touchdowns … fourth-leading rusher on the team, finishing with 343 yards on 108 carries, an average of 3.2 yards per attempt, and five touchdowns … averaged 262.6 yards per game and 9.7 yards per attempt and only threw six interceptions … completed 17-of-19 passes for 198 yards and three touchdowns against Golden West in the Southern California Bowl Game … threw for 249 yards and two touchdowns and ran for 39 yards against Mt. San Antonio in the conference championship game … completed 27-of-35 passes for a season-high 448 yards and a season-high seven touchdowns against Los Angeles Harbor … completed a season-high 28-of-41 passes for 296 yards and four touchdowns against Desert College … threw for 359 yards and three touchdowns and ran for two more against El Camino in a 48-25 victory … ran for a season-high 75 yards on 12 attempts, a 6.2 yards per rush average at Palomar … played at Brewer High for coach Paul Sharr … named 2012 All-District 5-4A First-Team Offense … completed 126-of-238 passes for 1,377 yards and 13 touchdowns as a senior … also ran for 597 yards on 120 carries, averaging 5.0 yards per rush and scored eight touchdowns … during his three-year career, threw for 4,171 yards and 32 touchdowns … also ran for 1,268 yards and 13 touchdowns … JCGridiron.com ranks Howard as its No. 4 dual-threat junior college quarterback in 2014 … three-star dual-threat quarterback prospect according to rivals, 247Sports, Scout and ESPN … No. 93 on the Rivals junior college Postseason Top 100 … also offered by New Mexico State and San Diego State. Originally signed at South Carolina and redshirted as a true freshman … played for coach Glenn Davis at Copiah-Lincoln Community College in Wesson, Miss. … registered 56 tackles as a sophomore, including 38 unassisted, 4.5 sacks, 7.5 tackles for loss, five pass breakups, an interception and a forced fumble … finished with five or more tackles in seven games … collected nine stops, including seven solo, 1.5 sacks, 2.5 tackles for loss and a forced fumble against Northeast Mississippi … had 12 tackles, including nine unassisted stops, two pass breakups and a tackle for loss against Jones … as a freshman, he compiled 19 tackles, including 14 unassisted tackles, four sacks, six tackles for loss and a pass breakup … three-star linebacker prospect by Rivals, Scout, 247Sports and ESPN … No. 86 on the Rivals junior college Postseason Top 100 … also offered by Arkansas, Arizona State, Kansas and Oregon … played linebacker for coach John Small at South Gwinnett High School in Snellville, Ga… helped lead South Gwinnett to a 10-3 record and a 7-1 mark in the league as a senior and advance to the second round of the state championships … coming out of high school, he was rated a three-star prospect, the 49th-best outside linebacker in the country and the 42nd-best player in the state of Georgia by Rivals… regarded as a three-star prospect and the 30th-best outside linebacker by Scout… a three-star prospect, according to 247Sports … named to PrepStar’s All-Southeast Region class. Played two seasons for coach Freeman Horton at Coahoma Community College in Clarksdale, Miss. … leader of the offensive line … named to the All-Region 23 First-Team Offense and the All-State North Division First-Team Offense in 2013 … previously a three-year starter for coach Charlie White at Germantown High … played in the 2011 AutoZone Liberty Bowl High School All-Star Game … named to the 2011 Commercial Appeal Best of the Preps Tennessee County Team … three-star prospect according to Rivals, Scout and ESPN … No. 97 on the Rivals junior college Postseason Top 100 … also offered by Kentucky, Texas Tech and USF. Played two seasons for coach Sherard Poteete at Northeastern Oklahoma A&M College in Miami, Okla. … made 39 tackles with nine pass breakups and two interceptions in 2013 … averaged 23.2 yards per kick return … named All-Southwest Junior Football Conference Honorable-Mention as a defensive back and specialist in 2013 … ranked second on the team with 85 tackles in 2012 … also had one sack, four forced fumbles, three fumble recoveries, two interceptions and six pass breakups … previously a quarterback and safety at Putnam City High … three-star prospect according to Scout and ESPN … 247sports No. 11 cornerback recruit … 247sports No. 1 Oklahoma junior college recruit … also offered by Arizona State, Indiana, Iowa State, Nebraska, TCU, Texas Tech and Wisconsin.